Spain is back for the Volvo Ocean Race 2014-15 with a boat spearheaded by two of the country’s leading sailors, Iker Martínez and Xabi Fernández who will be aiming to help claim their nation’s first victory. It’s the eighth time out of the 12 editions of the race that Spain has been represented in the 41-year-old event. The campaign, which is being mounted by Galician sailor/businessman Pedro Campos, is the sixth crew announced so far for the Race which begins in Alicante on October 4 with the in-port race there followed by the departure on leg one to Cape Town a week later. The Campos team, which will be announcing their title sponsor and skipper shortly, has already taken possession of their one-design Volvo Ocean 65 boat in Southampton, England and is currently preparing the boat to be launched. “We’re happy to see Spain’s presence again in sailing’s leading offshore race, the Volvo Ocean Race. For our team it is an honour to have a fifth boat participating in succession, a record in the history of the race,” said Campos. Campos said that Martínez and Fernández would be 'pillars' of the Spanish sailing crew in 2014-15. There’s unfinished business in the Volvo Ocean Race for the pair. The Olympic gold medalists from Athens dominated the early stages of the last edition in 2011-12 on board Telefónica but a broken rudder in the penultimate stage ruined their hopes of overall victory that was taken by French team Groupama. No Spanish team has won offshore sailing’s toughest and most prestigious race, formerly known as the Whitbread Round the World Race. Knut Frostad, CEO of the Volvo Ocean Race which is based in Alicante, Spain, said he was delighted to welcome the Campos team alongside probably the most evenly-matched fleet in the event’s history. “The Spanish team has some of the most versatile and experienced sailors in the world involved and I am sure they are in the race to do well. It’s great to see this team back for the fourth edition in a row,” he said. The Spanish team will line up in Alicante alongside the all-women’s crew of Team SCA, Abu Dhabi Ocean Racing, Dongfeng Race Team, Team Brunel and Team Alvimedica who have already been announced. 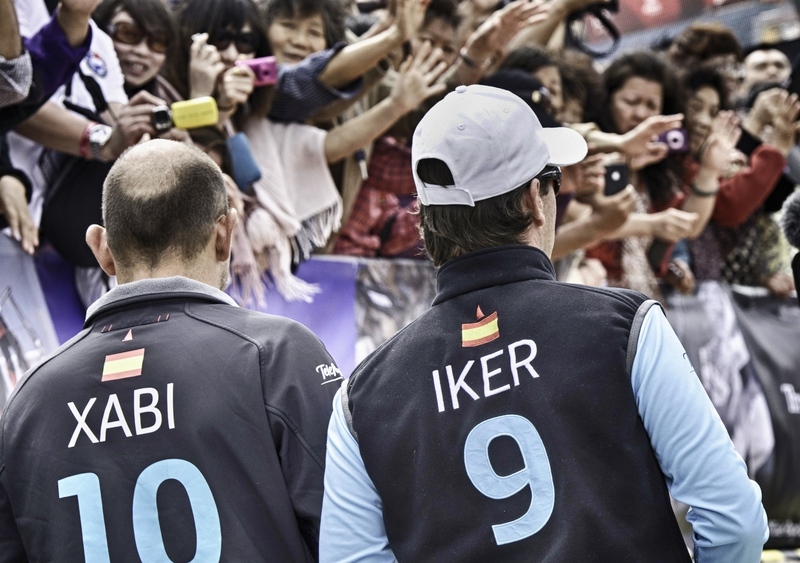 Previous Campos teams to compete in the Volvo Ocean Race are movistar (2005-06), Telefónica (two boats in 2008-09) and Team Telefónica (2011-12), the latter skippered by Martínez. The team's sponsors are expected to be announced in the next months and the campaign will also be supported by Spain's National Sports Council and the Royal Spanish Sailing Federation.